The Abbey Ridge Observatory is a robotic astronomical observatory located in Stillwater Lake, NS, Canada. It is owned by Dave Lane. 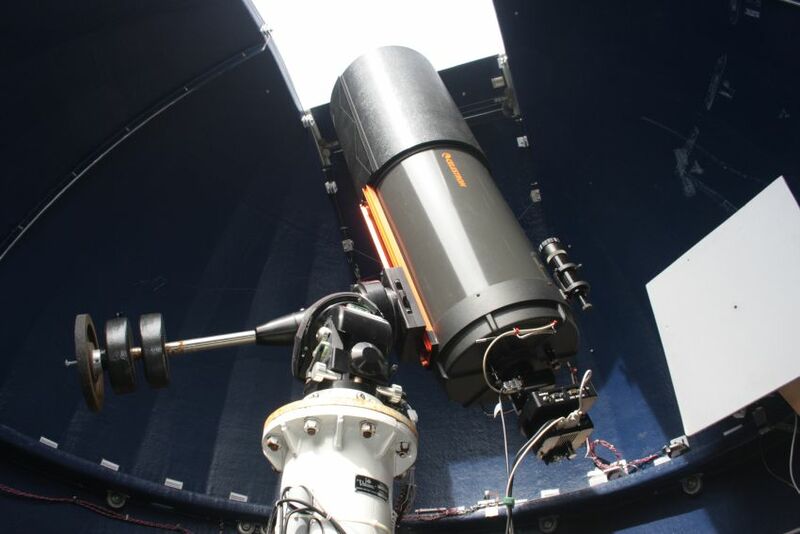 It is one of only two observatories in the world, along with the Burke-Gaffney Observatory, that can be controlled from Twitter and Facebook in a fully-automatic way! 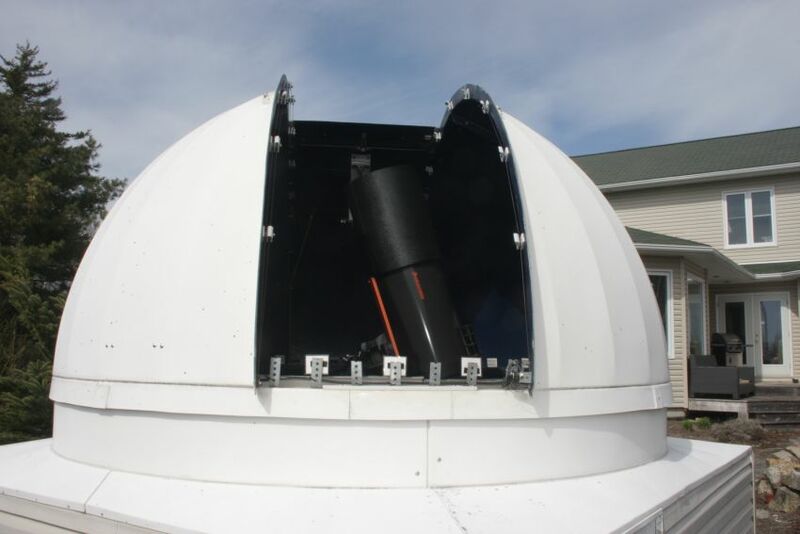 At this site, you will find information about the observatory, its work and how to use it. 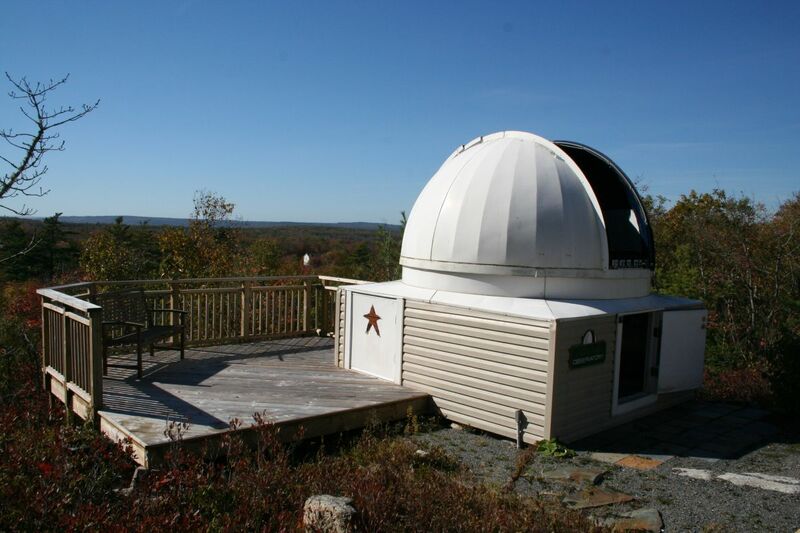 Abbey Ridge Observatory (ARO), built in 2003, is named for the granite ridge that rises up above Elbow Lake and along Abbey Road in Stillwater Lake, NS. It sits on bedrock on the edge of this ridge giving spectacular views from the south through to northwest. The site is quite dark, considering that it is only about 23 kilometres to the west of Halifax (population ~400,000). 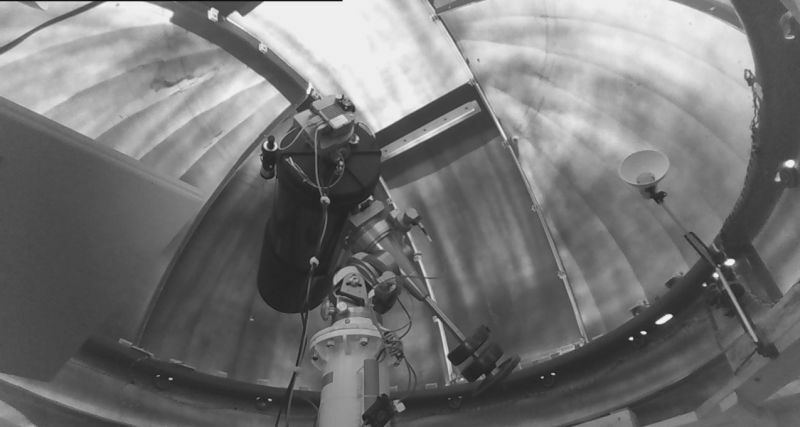 The observatory is built around a fiberglass 10-foot diameter Home-Dome. 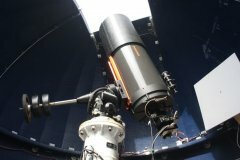 Inside is a Celestron C14 Schmidt-Cassegrain Telescope mounted on a Losmandy Titan german equatorial mount controlled by a SiTech controller. Its imaging camera is an SBIG ST8XME CCD camera with dual Optec IFW filter wheels (9 effective filters), Optec NextGen telecompressor, and an Optic TCF electric focuser. We also use an AAG CloudWatcher to monitor the sky conditions. There are more details here.